Employee records are created, maintained and kept by the employer. A set standard with forms does not exist. 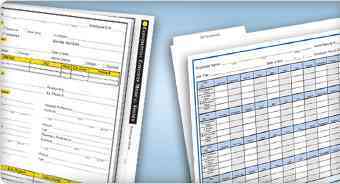 With our full line of record folders, you will have the tools necessary to create an efficient recordkeeping system. Even if you have electronic files of employee records, keeping paper files for quick reference is a best practice.